PRSA Sunshine District awarded Axia Public Relations a Radiance Award for Axia's work on the It Works! Island. The Radiance Awards highlight Florida's PR campaigns that demonstrate excellence in research, planning, implementation and evaluation. The Tampa Bay chapter of PRSA awarded Axia with a PRestige Award in the Special Events – One Day category for its outstanding public relations work on the Dave & Buster's grand opening public relations campaign. FPRA recognized Axia Public Relations with a Golden Image Award, which demonstrates the very best example of innovation, planning and design, for its work on the Dave & Buster's grand opening public relations campaign. FPRA awarded Axia Public Relations a Judges' Award for its work on Dave & Buster's grand opening public relations campaign. The Tampa Bay chapter of FPRA awarded Axia Public Relations an Award of Distinction, which is presented to image award entries that meet a standard of excellence, for its work on Dave & Buster's grand opening public relations campaign. FPRA awarded Axia Public Relations a Judges' Award for its work on the Brightway Insurance franchisor public relations campaign. Business leaders nominated Axia Public Relations for the Edward Lowe Foundation recognition. O'Dwyer's profiled Axia Public Relations as a high-tech public relations firm. 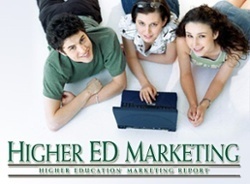 Axia Public Relations received a National Campaign Award for its work with Jacksonville University. Axia Public Relations scored top 25 recognition in a survey of area businesses and employees by the Jacksonville Business Journal. Axia Public Relations scored top recognition in the Jacksonville Business Journal's rankings of advertising and marketing agencies. United Way gives the platinum award to a company that meets two of the following three criteria: more than 80 percent employee participation, a $250 or higher employee per capita ratio and a 25 percent or higher employee campaign increase. United Way of NE Florida raised a total of $26 million, a 4.6 percent increase over the previous year’s campaign. FPRA awarded Axia Public Relations an Award of Distinction, which is presented to image award entries that meet a standard of excellence, for its work on Turfgrass America's media relations campaign for The Players Championship. FPRA awarded Axia Public Relations an Award of Distinction for its work on the Operation Skate media relations and community relations campaign. Axia Public Relations earned top 25 recognition from Jacksonville Magazine as a company that cares. The Amelia Island-Fernandina Beach-Yulee Chamber of Commerce’s board of directors selected Axia Public Relations as Small Business of the Year for helping grow a number of businesses in Nassau County; donating services to a number of community organizations; expanding into Tallahassee; raising funds for a community skate park in Fernandina Beach; and helping the chamber launch a successful campaign. Axia Public Relations received recognition for its outstanding service and dedication to the scholarship fund for the Rotary Club of Fernandina Beach Scholarship Fund Inc.
FPRA presented its Golden Image Award to Axia Public Relations for its outstanding Super Bowl XXXIX media relations campaign for MPS Group/Modis. FPRA presented its Image Award of Distinction to Axia Public Relations for its direct-mail and media relations campaign for First Coast Community Bank. FPRA presented its Judges' Image Award to Axia Public Relations for its outstanding marketing campaign for the American Cancer Society. A FPRA chapter presented its Image Award of Distinction to Axia Public Relations for its direct-mail and media relations campaign for First Coast Community Bank. 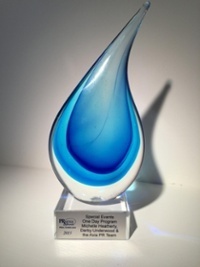 FPRA presented its Judges' Image Award to Axia Public Relations for achieving outstanding results with a minimum budget for a direct-mail and media relations campaign for First Coast Community Bank. PRWeek, an international trade magazine for the public relations industry, named Axia's CEO, Jason Mudd, APR, a Rising Star of PR. Axia Public Relations received Florida's award for the top public relations campaign of the year for its tourism PR campaign for the Amelia “Book Island” Festival. 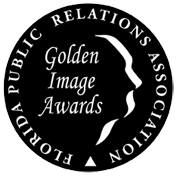 FPRA awarded Axia Public Relations a Golden Image Award for its media relations campaign for the Amelia “Book Island” Festival. FPRA awarded Axia Public Relations the Judges' Award for achieving outstanding results with a minimum budget for its work on the Amelia “Book Island” Festival.